PlayerUnknown’s Battlegrounds is one of the hottest online multiplayer video game that works as a battle royale nowadays. You can play solo or you can even create a group where you can play with the other players together. The goal of the game is to survive the battleground without being killed and the last player that remains standing is the winner. However, this game is only available on computers which mean you can’t play the game anywhere and anytime whenever you wish. In this case, looking games like PUBG for mobile would be a perfect option. There are different mobile games that seem to run with the same format as PUBG, and if you are looking for the best ones here are some of the mobile alternatives that you can try out comfortably. The first on our list is a game created by NetEase, which is mainly referred to as a PUBG clone for mobile devices. Knives Out was first released on the Chinese App Store where it dominates the top spot. Due to good feedbacks of the game, many gamers want to have a copy of it. It’s a good thing that the developers have addressed these issues and came up with an English version that is now available on both the App Store and Google Play Store. Just like PlayerUnknown’s Battlegrounds, this game’s objective is to survive the battlegrounds by any means necessary. At the start of the game, 100 players are dropped into the war zone and the survival begins from there immediately. All players must explore all building to gain weapons, accessories, military trucks, and medicines. The only difference of this game from PUBG is control since this game is more on tap and swipe control and it will take a while to get used to it. If you’re eyeing for a game like PlayerUnknown’s Battlegrounds, this game is the closest mobile alternative that you can utilize. This next mobile game is another NetEase creation that is based on the PUBG type of gameplay where the main goal is to survive the battleground. ROS is currently available on both App Store and Google Play Store. To start this game, you can choose whether you want to enter the battlefield alone in the solo mode, or play in duo, or even play as a squad. When the game starts, 120 players across the globe are dispatched to a deserted island where they need to start exploring and look for weaponry and other survival gears to keep them last the game. Aside from guns and other resources, there are also vehicles that the player can use by simply jumping into it. The cool and fascinating thing about this game is that it provides the possibility to change your character appearance via different cosmetic upgrades available in the game shop. And as of the controls, they work smoothly as they should. However, it still requires practice and a little bit of effort to master the game controls completely. Among the Android games like Player Unknown’s Battlegrounds comes Grand Battle Royale. 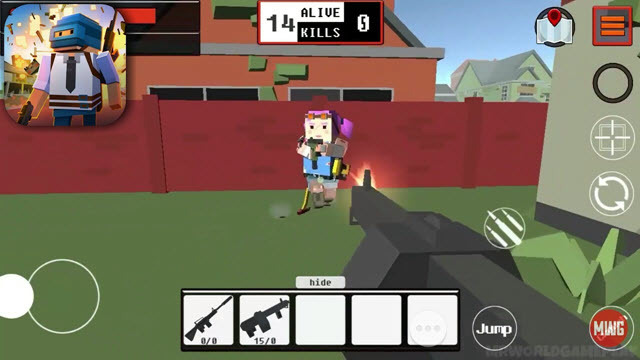 This game follows the same format as PUBG which is a battle royale type of game that aims to wipe all of the opponents and in order to end the game in victory. However, the developers of this game added their own flavor as they changed the characters and settings into something that looks like Minecraft theme. A square figured characters that run around the battlefield fighting out each other on a battlefield where everything appears to have blocky textures. 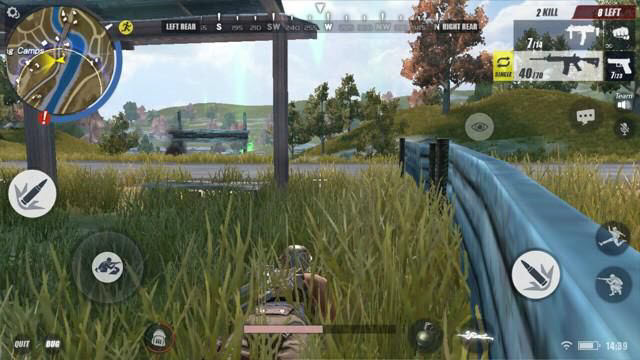 The game runs the same as the previous PUBG mobile alternative that we discussed above which is to survive the war zone and remains standing. However, the look of the characters, weapons, items, buildings, and the likes differs from the original PUBG version. Nonetheless, it is still a great substitute for mobile gamers and those who love blocky characters. This is another last man standing game that was created under the influence of the famous PC battle royale game the PUBG. Bullet Strike is currently available on Google Play Store and it’s free to download. It’s a real-time multiplayer game that is able to support up to as many as 20 players. 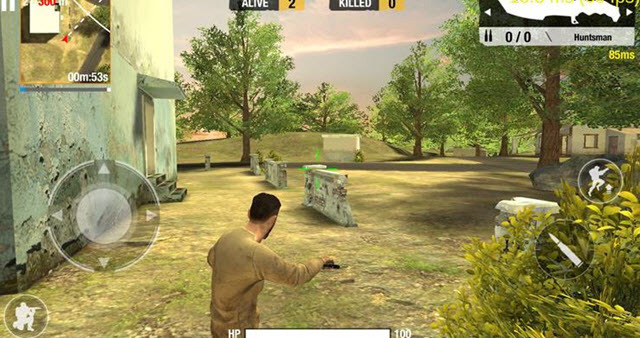 Just like the other battleground inspired games, Bullet Strike also allows users to use pistols, knives, and any other sort of objects that they can use to survive the warzone. Good thing about this game is its leaderboards where a gamer can prove their shooting and survival skills. However, this game was still in its Beta version, and it’s expected to improve on the succeeding updates. 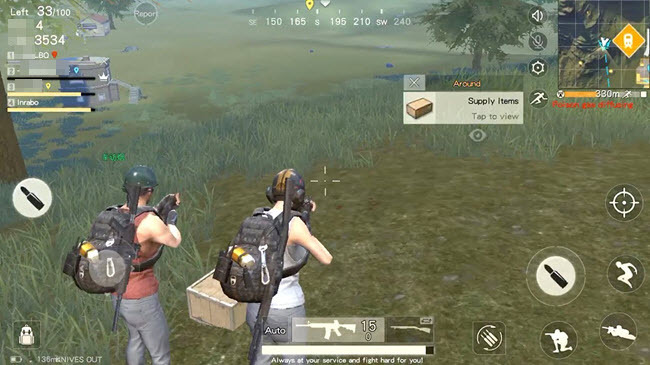 This is also one of the games like Player Unknown’s Battlegrounds for iOS Android that you can try in case you wish to have the survival feeling that PUBG games offer. 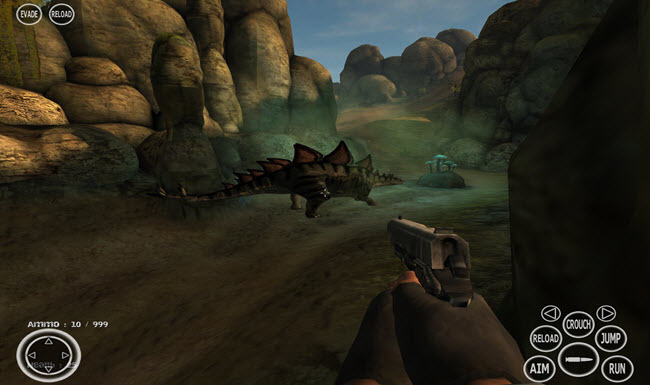 But in this game, they added a twist, in spite of battling humans, the goal of the game is to survive by hunting down monstrous medieval dinosaurs. Same with PUBG, gamers in Dinosaur Hunt are given the chance to use every weapon available in the environment that they need from pistols, rifles, and bazooka, in order to survive. This is a good mobile game to have, but it has too many pop-up advertisements that mess up with the gaming experience. All of those games that presented above provide the same overall feel of PUBG. The settings and the characters are altered in each game, but the flow of these games is the same as that of PlayerUnknown’s Battlegrounds. 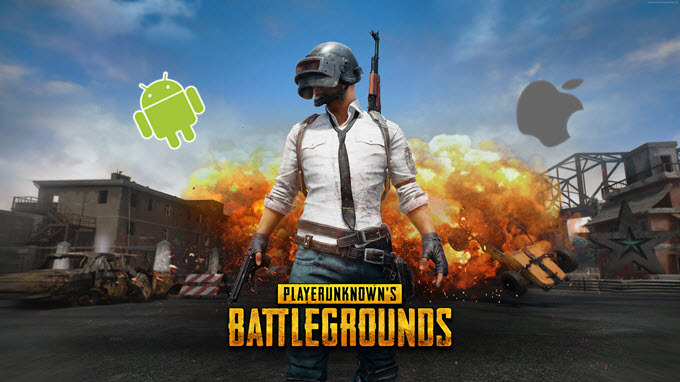 Feel free to try all of these PUBG alternatives for mobile devices and see which one suits your preference. Which games like PUBG do you play? Give us your feedback and comments on the comment box below. Rating: 4.4 / 5 (based on 46 ratings) Thanks for your rating!